The Comics Journal (TCJ) archives are a fantastic resource for a historical perspective and the inside scoop on comics in an era before publications like Marvel Age were launched, so I've been reading the back issues avidly while working on The Marvel Project. 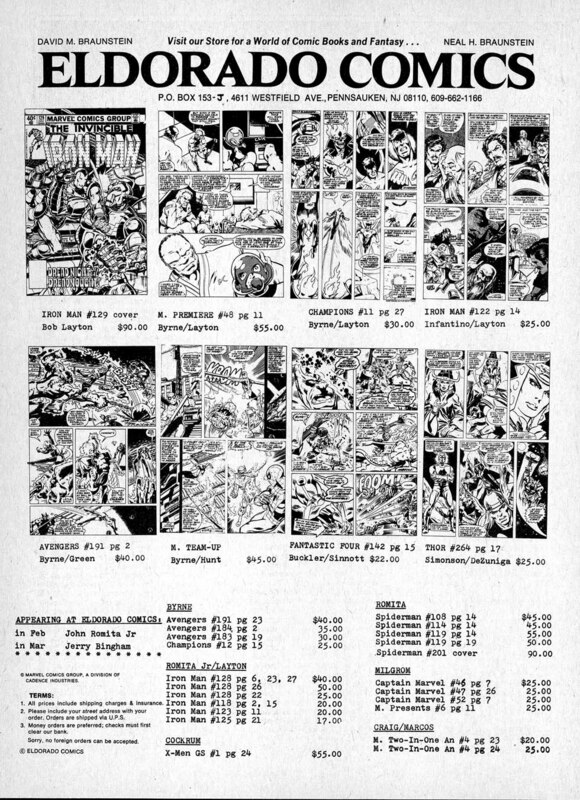 I came across this El Dorado Comics original art ad in the Winter 1980 TCJ issue while doing research for January 1980 and I immediately found myself wishing for a time machine. Aside from the amazing prices and selection for the choice Byrne and Layton original art, it's funny to see page 24 from Giant-Size X-Men #1 being offered for $55. That page sold for $14,340 in the November 2008 Heritage Signature Auction!